For all of you developers and soon-to-be developers out there, it’s time to brush up on your Android 6.0 Marshmallow development skills. 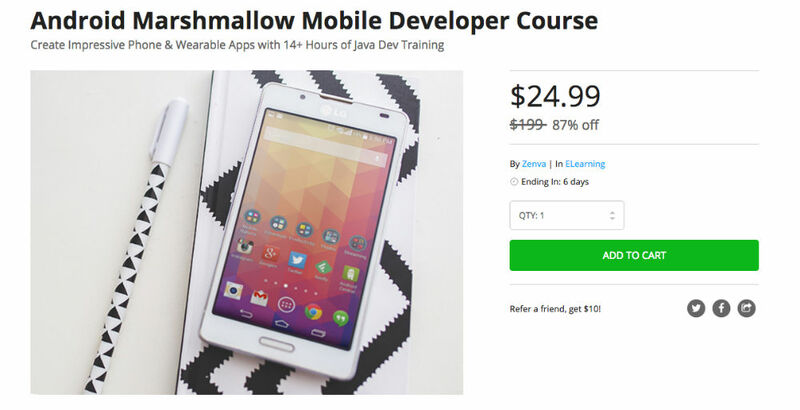 On the DL Deals Store, you can grab the Android Marshmallow Mobile Developer Course, down from its list price of $199, priced at just $25. With the course, you will be taught app coding for Marshmallow on smartphones using Java, featuring over 93 lectures and 14.5 hours of content. During this process, you will go over learning to use Google’s main APIs for app creation, coding in Java from scratch, understanding the Wearable API, and much more. If developing is your thing, go check it out.